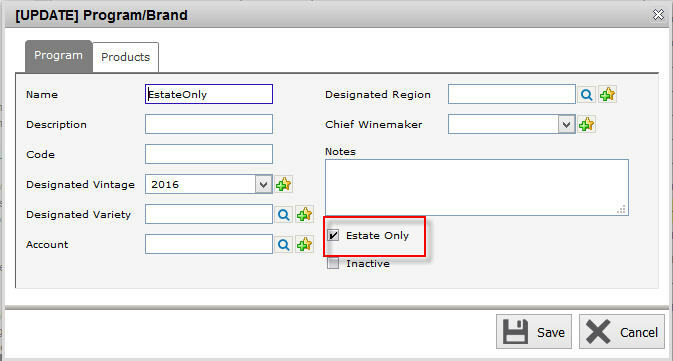 To turn on Estate wine tracking, go to Winery Setup > Winery and select the winery where you want to set as an estate bond. Go to Bond tab, then set Estate Bond to Yes. 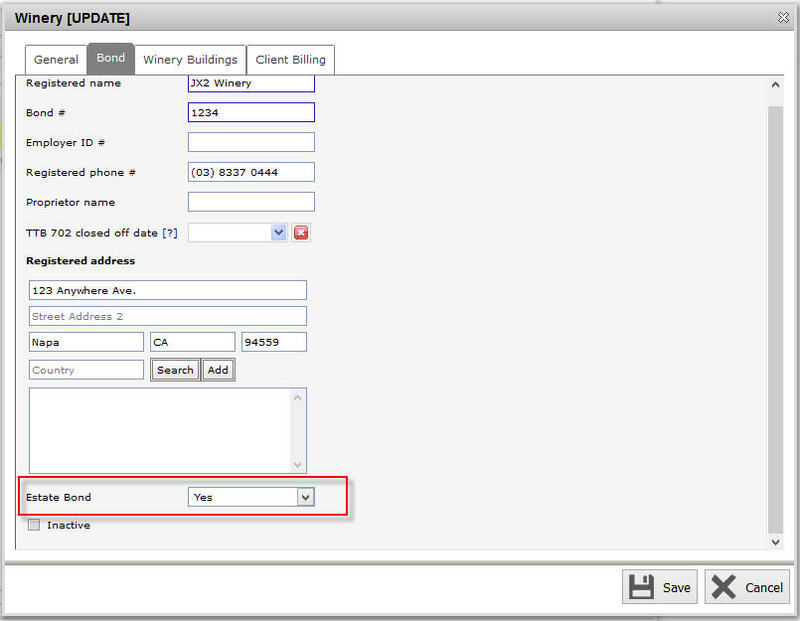 Next, set up a program to be estate only by going to Winery Setup > Work-flow > Programs and select/create a program. Check Estate Only. 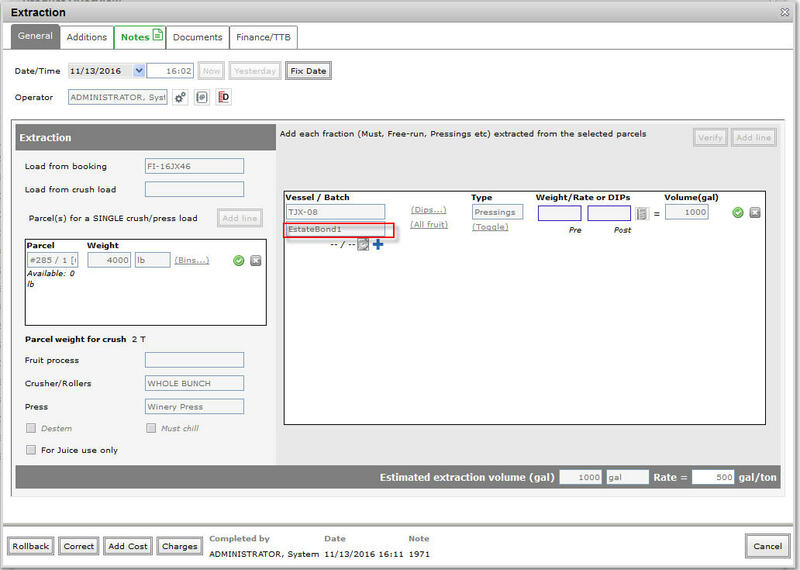 Use the estate only Program in a batch that you want to set as estate only. 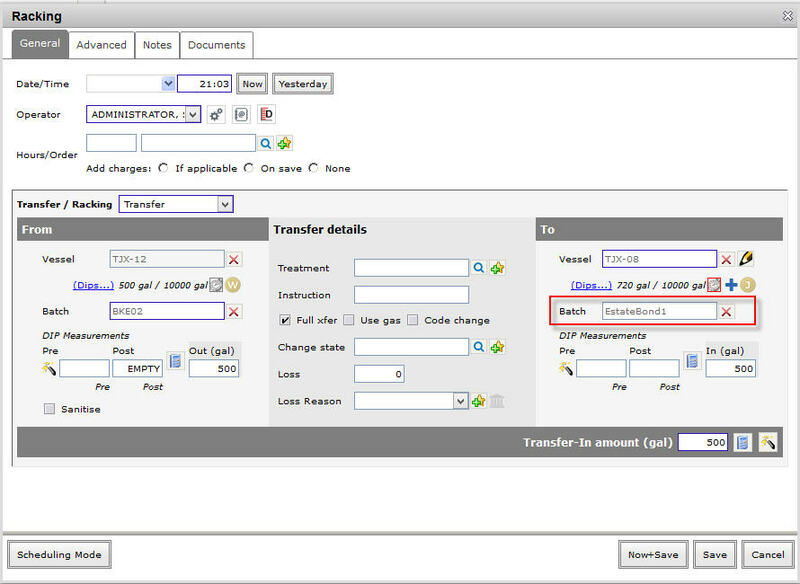 In the example below, a new Batch called EstateOnlyBond1 is linked to the Program EstateOnly. To create a wine that is estate only, you need to perform an Extraction operation where the destination vessel must be owned by and located at the winery that has the Estate only bond set, and the destination batch is the Estate only batch that was previously created. 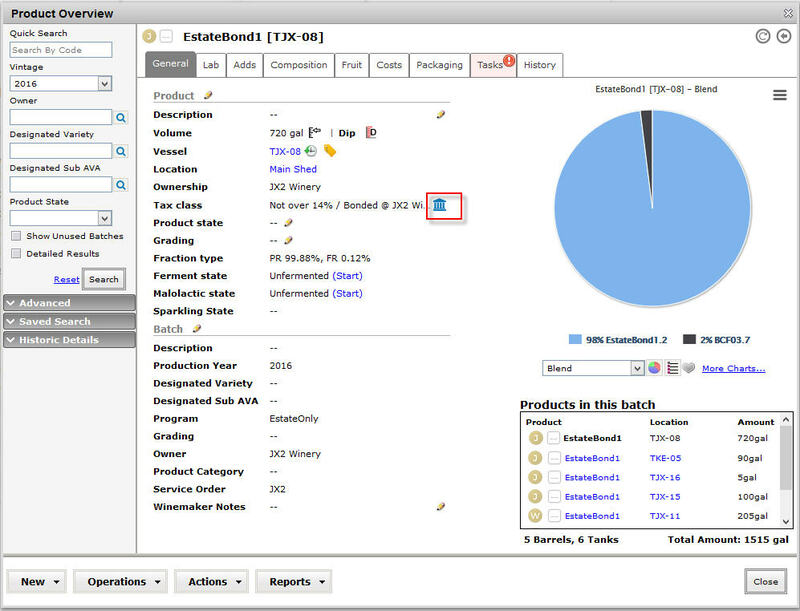 Go to the Product Overview of the wine and click on the TTB information icon. 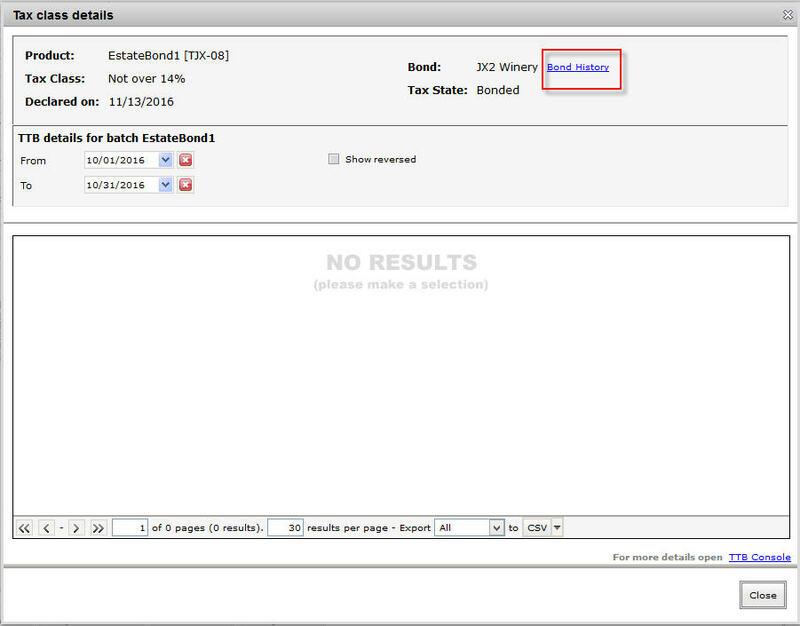 Click on Bond History link. 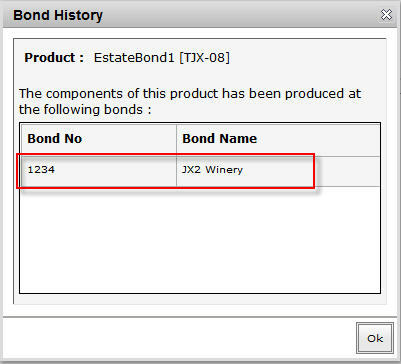 The Bond History screen will show you the names of the bonds that the product has visited. In the example below, it only visited the Estate only bond, thus keeping its Estate only wine status. 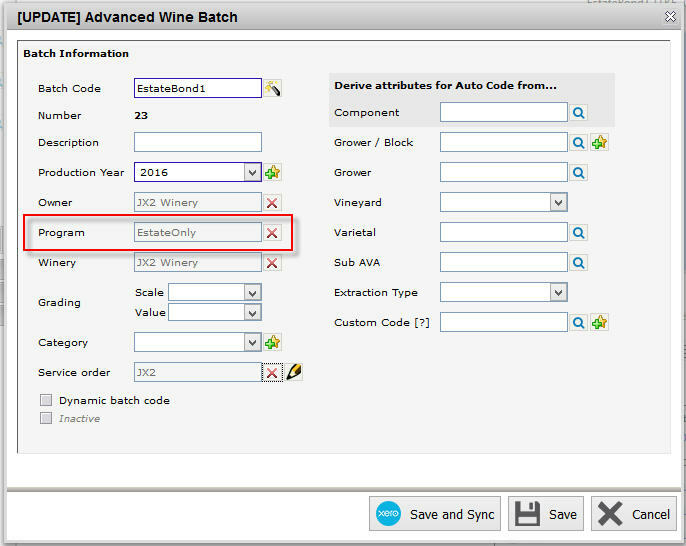 Any blend/transfer into an estate only wine from a non-estate wine will trigger a validation message to warn users that the resulting product will no longer be an Estate wine. In the example below, we are trying to blend a non-estate wine into an estate only wine. 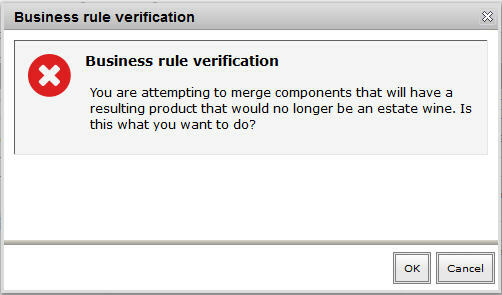 Upon saving the operation, you will get a validation message that the resulting product would no longer be an estate wine. When you click on OK on the validation message, the blend will be successful. 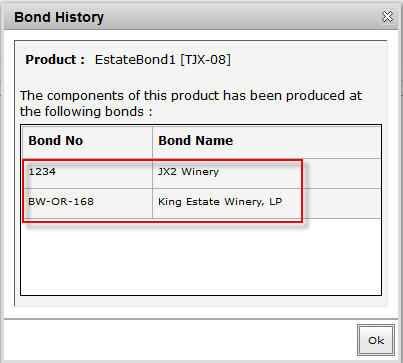 And then going into the Bond History of the resulting wine will show you that the wine has visited 2 bonds.